Diddy was supposed to co-host a birthday party for DJ Clue at club M2 on West 28th Street Monday night with Kobe Bryant after the historic Knicks/Lakers game in which Bryant scored 61 points. But nobody warned Combs that the New York Police Department had an undercover gun detail searching guests as they came into the club. "Everyone wanted to make sure that the dozens of NBA stars in attendance, including Lamar Odom, Vince Carter and Pau Gasol, would be safe," the insider said. When Diddy arrived at 1:45 a.m. with a six-man entourage, a witness said he "flipped out" when cops asked to search him and his friends. "He went nuts, saying, 'Why are you disrespecting me like this? Why are you doing this to me?' During the commotion, one of his guys slipped away, unsearched, back to the car." 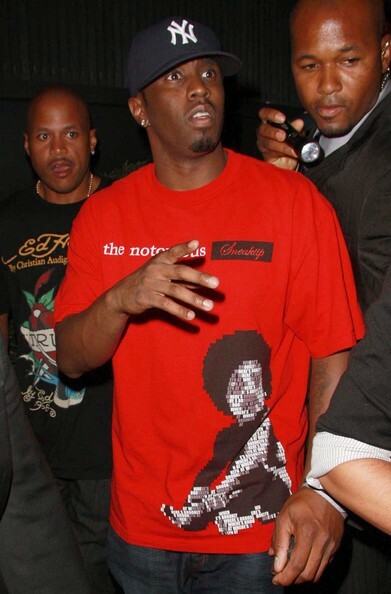 Diddy "stormed off and started to text DJ Clue asking, 'What the [bleep] is going on?' and asked if he could go in the back entrance." When told that the cops would have to search him and his friends there as well, Combs decided not to attend the party.